The boom of neo-liberalism during the 1980s and the first years of 1990s was not a consequence of a natural economic evolution from postwar Keynesianism to the rule of the market, but rather it could settle down inflicting harsh defeats to the international working class movement and the semi-colonial peoples. The military interventions on behalf of “democracy” and individual freedom that would come hand in hand with economic opening were typical in these years, when the labor class was in retreat. This was accompanied by a deep ideological reaction that condemned Marxism, replacing it by resignation to the strength of capital. Contradictorily, this ideological reaction gained momentum after the 1989-91 anti-bureaucratic revolutions in the former deformed and degenerate worker’s states, claiming to have wiped out the idea of socialism forever. From mid 1990s, we are witnessing the decadence of long decades of neo-liberal capitalist offensive, challenged by a mass counteroffensive between 1995-97 and shaken by the economic collapse of Southeast Asia. This doesn’t mean that the economic mechanisms of capitalism have stopped working altogether, but rather that their high social and political cost are fueling new mass upheavals in Latin America and the emergence of vanguard sectors of workers and youths. These events have developed within a reactionary international juncture, ushered in by the imperialist victory in the Kosovo War. In this article we try to make a contribution from Marxism to trace the decisive turning points that drove to the emergence, boom and decadence of the neo-liberal offensive, its relationship with the class struggle and with the ideologies and programs that today influence sectors of the masses and the vanguard alike. The defeat of the 1968-76 revolutionary upsurge, crushed with violent counter-revolutions in the semi-colonial countries and deviated in the central countries, paved the wave towards a new imperialist offensive, in spite of the defeat of United States in the Vietnam War. The masses could not take advantage from this military defeat of imperialism. This was a tactical victory that, as many other victories of the mass movement in the post-war, became their contrary, as they strengthened the main agent of imperialism in the international working class movement, the Stalinist bureaucracy in its different wings. The mass movement paid a high price for this. Imperialism was wounded due to the failure of their military intervention in Vietnam, but it was not killed. Far from that it went on the offensive, with a combination of defeats on the labor movement in the central countries, democratic counter-revolution and low intensity wars in the semi-colonial countries, that cleared the road for the boom of “neo-liberalism”. Between 1980-81 the great Polish workers’ revolution that had brought to life a body of direct democracy, Solidarity, was defeated. This revolution was smashed by the counter-revolutionary strike of Jaruzelsky while the Catholic Church had co-opted the leadership of this movement that would be the outpost of the process of capitalist restoration in Poland. In 1982, imperialism made an example of the defeat of Argentina in the Malvinas War for the semi-colonial world l1. Margaret Thatcher’s victory in this war empowered her to smash the miners’ strike, an expression of the resistance of the British working class movement to the capitalist offensive. In the US, the defeat of the air controllers strike allowed Reaganism to intensify its anti-workers offensive, wiping out historical conquests of American working class movement and doubling its offensive over the semi-colonial countries. In the Middle East, the Iranian revolution was undermined by means of a fratricidal war between Iraq-Iran that raged in these countries for almost a decade. The dismantling of the revolution in Central America that combined the dirty war of contra-insurgent movements armed by United States -like the “Contras” in Nicaragua – with the capitulation and co-optation of the guerilla leaderships by means of pacts and agreements, completed this imperialist offensive. Thus, imperialism put the workers’ and peoples’ movement on the defensive, atomizing them and disorganizing their ranks. The working class movement, with a reformist subjectivity modeled by their bureaucratic leaderships, Social Democrats, Stalinists and bourgeois nationalist during the years of Yalta, was not up to the challenge of this true counter-revolution. The working class and the masses, used to waging major pressure fights, with the exception of the revolutionary upheaval of 1968-76, were impotent to stop this attack. The neo-liberal boom meant privatizations, opening of the semi-colonial economies, attacks to the unions and the welfare state, and it could settle in by means of a combination of democratic counterrevolution and military terror. Far from responding to an “economic automatism” as a result of the “free markets”, this new capitalist offensive was an enormous counterrevolution administered politically by the states and regimes that was imposed by means of both harsh defeats to the mass movement and democratic deception. The display of military strength by US imperialism underpinned a number of wars of low intensity used to terrify the mass movement on one hand, and strengthen its imperial power to re-launch the offensive on the other. In 1989-91, political revolutions broke out in Eastern Europe and the former USSR, in the wake of a protracted setback suffered by the working class movement in the west, after a decade of Reaganism-Thatcherism. After the defeat of the Polish revolution, an advanced experience of the working class movement, the anti-bureaucratic revolutions of 1989 showed no trace of political radicalization. The working class movement was not the main actor and it did not take the lead of the whole movement. The absence of revolutionary leaderships or even embryonic Soviet-like bodies, allowed for the leadership of these processes to be influenced mainly by petit-bourgeois “democratic” movements. The masses of these states rose against the Stalinist apparatus and destroyed it, but with an enormously backward consciousness plagued by pro-capitalist illusions. Both the planned economy and the strategy of socialism, downtrodden and deformed by the Stalinist counterrevolution, were identified with the hated bureaucracy of the communist parties, and the masses ended up giving away their revolutions to their class enemies, that began a brutal process of capitalist restoration. For this same reason, many have refused to recognize the revolutionary character of these processes that, in spite of the terrible backwardness of the masses, were set against the restoration plans of the ruling bureaucracies. The abortion of these revolutions by the means of democratic counterrevolutions, the coming to power of the restorationist governments in the former deformed and degenerate workers’ states, and the imperialist annexation of Eastern Germany by Western Germany, all these paved the way for an ideological triumph of the bourgeoisie that seemed to have no limits. This had a massive impact on the traditional labor leaderships and the “left” intellectuality that caved in to the imperialist neo-liberal offensive with a brutal “right turn”. The anti-bureaucratic revolutions of 1989-91 were deviated and miscarried, although their destabilizing effects drove imperialism to launch a new military aggression to prevent the revolutions in the east from fueling revolution in the west. In 1991, the United States leading a great military coalition of imperialist powers and semi-colonial countries, defeated Iraq in the Gulf War, imposing a brutal blockade to Iraq’s economy that has impoverished the population to unheard-of levels. 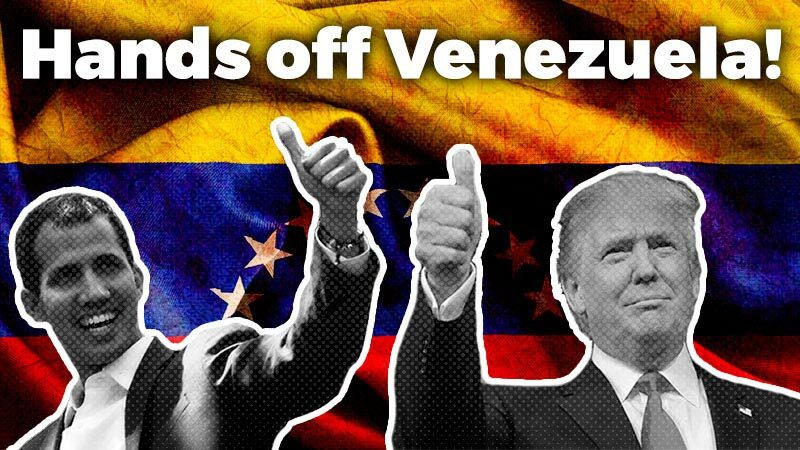 This new exemplary defeat underpinned the ensuing imperialist attack on the semi-colonial world, deepening the “opening” of these economies to the multinational monopolies and transforming them in “emerging markets” for the easy profiteering of financial capitals. The recovery of the American economy from the serious recession of the 1980s –at the expense of an unprecedented attack against their own proletariat and that of the semi-colonial countries -, the emergence of the Asian countries that from the 1980s had become an area of capitalist accumulation, and the counterrevolutionary blow by the Chinese bureaucracy against the masses that rose up in Tiananmen in 1989 -allowing for massive capital inflow and imperialist investments in that country, taking advantage of cheap labor-, all these reinforced the illusion that finally capitalism had found a way to overcome its own crisis. The defeat of the political revolutions of 1989-91 and the ability of the United States to transform their victory in the Gulf War into increased imperial power, reaffirming itself as the only military power on top of its competitors, brought in a certain stabilization, a situation of “unstable equilibrium” was achieved, that characterized the first years of the 1990s. The neo-liberal governments had the ability of transforming the imperialist bourgeois triumph into official ideology. Thus, the “Pensée unique” glorified the free market and the ongoing march of corporations and the globalization of capitalism. This neo-liberal illusions were expressed in new theories whose paradigm was Fukuyama’s “End of History”, thrilled by the victory of capitalism over “real socialism” that announced the “death of ideologies”. According to this vision, capitalist “democracy” had won the long war against communism, and now nothing could stop its march. All kinds of bourgeois utopias mushroomed in those years, ranging from the promise of a new Marshall plan for Eastern Europe -that would bring capitalist prosperity for the masses -, through the pseudo-theory of the coming of the “Asian century” (i.e. the inexhaustible potential of this region for capitalist accumulation), up to the most vulgar “Get-Rich-Quick” view claiming that the unlimited enrichment of the highest social layers would spill over down to the poor. They all tried to sow illusions in “progress”, to justify the brutally unequal income distribution. Along the neoliberal offensive, the reformist leaderships of the working class movement deepened the “right turn” in course from the 1980s which peaked when all the wings of the Stalinist bureaucracy turned into avowed capitalists, taking the lead of the restorationist governments. The European Social-democrats parties went through a similar transformation process recycling themselves as the agents of the neo-liberal offensive in their countries, a carbon copy of the traditional conservative parties. This was the case of the French Socialist Party during the government of Miterrand, or of Felipe González’s Spanish Socialist Worker Party. This “right turn” threw these parties into a deep crisis that led them to years of electoral defeats. The Communist Parties, following the example of the Moscow bureaucracy, became openly Social Democratic parties, or part of the “democratic left” as the old PCI. After the offensive against the unions undertaken in the central countries, mainly in United States and Great Britain, the union bureaucracies opted to adapt themselves to the new times of “modernization”, deepening their integration to the bourgeois state, turning themselves into bosses, as sectors of the Argentinean union bureaucracy, and acting openly as agents of the privatizing offensive of the bosses. This “right turn” of the union leaderships and the bosses’ offensive against the working class, dividing their ranks, creating a “reserve industrial army” of millions in the entire world, lead to an unprecedented weakening of the unions. Therefore, we defined that in these years the revolutionary subjectivity of the proletariat, expressed in its organizations and its class conscience, was in its lowest historical level. This does not mean that class struggle had stopped. The masses resisted the way they could the bourgeois offensive with riots and revolts, for example the anti poll-tax rebellion in Great Britain in 1991 that rocked Margaret Thatcher’s Tory government, the black rebellion in Los Angeles in 1992 or the provincial revolts in Argentina in 1993-95. These popular upheavals were a spanner in the works of the imperialist plans. However, they were impotent to change the nature of the reactionary situation. The general strike of the French state workers at the end of 1995 opened up a new stage of the class struggle, expressing a tendency to action by different layers of the proletariat and poor urban sectors and the countryside, and to the political struggle against the neo-liberal governments. This process had been anticipated by the Italian strikes of the ‘ 94 that ousted the government of Berlusconi. The working class movement of several countries waged important combats in France, Germany, Argentina, Ecuador and Korea and struggles in some branches as the strike of the UPS workers in the United States. This was the first response by the working class movement that was back in the political scene challenging the governments and their austerity plans, the destruction of the health care systems, education plans and the social benefits. The limit of this wave that we define as “mass counteroffensive in several countries”, was the lack of political radicalization, expressed in that no sector of the masses, or even vanguard sectors broke away with their reformist leaderships and went for independent political action. After years of setback of the labor class, of imperialist offensive, of ideological reaction and of crisis of revolutionary Marxism, the idea of the proletarian revolution didn’t exist in the thoughts of the masses that carried out these struggles. This counteroffensive could be deviated first in Europe -that had been its epicenter – with the ascent of the so-called Third Way Social Democratic governments that capitalized on the reformist illusions of the mass movement. This Third Way was lead by Tony Blair’s New Labour and supported by Gerard Schroeder in Germany and Romano Prodi in Italy. Under the motto “Neither a State Economy nor the Free Market, Market Society” these governments, would push ahead with the neo-liberal plans but looking for social consent, co-opting the bureaucratic leaderships of the unions. In June of 1997 the economic crisis exploded in Southeast Asia, spreading to Russia in 1998 and to Brazil at the beginning of 1999. The break out of the crisis indicated that the “unstable equilibrium” of the 1990s was coming to an end. The Asian heaven for the capitalist earnings had become a hell of economic depression and unheard sufferings for the mass movement. A revolutionary process in Indonesia gained momentum accordingly. The crisis threatened to spread and the symptoms of “destabilization” in the world situation were reflected by the re-emergence of the pro-independence struggle in the Balkans, a “hot spot” that imperialism had tried to stabilize with their “humanitarian” interventions in the conflict of Bosnia. Imperialism needed to strike again to reaffirm its power in front of the shock waves of the economic crisis. Again, as in the 1980s with the defeat of Argentina in the Malvinas war, and at the beginning of the 1990s with the defeat of Iraq in the Gulf War, the war of the Balkans was the way of building up imperial power. The imperialist victory in Kosovo, although at a high expense, opened a reactionary juncture highlighted by, for example, the defeat of the pro-indepence struggle in East Timor that helped to deviate the revolutionary process in Indonesia, and the counter-revolutionary blow in Chechnya that helped to promote Bonapartism in Russia with the victory of Putin (as we explain in the article on Russia). However, the result of the military intervention in the Balkans could not, as in the Gulf War, reaffirm the American hegemony over other world powers, but rather it has opened a situation of increased inter-imperialist competition. And even though it has slowed down a lot the processes of class struggle it did not prevent a vanguard from developing and learning from their experiences. To sum up, looking for historical analogies that allow us to understand these past years, we can say that the decadence of “neo-liberalism” has brought to the scene a “drama” that combines elements of the different decades of the conflictive 20th century. The situation of the world economy, the speculation and the growing inter-imperialist competition for shrinking markets, are bringing back the wild situation of the “belle époque” of the 1920s. The threats of crack and slump looming in the wake of the 1997 crisis, come back every time Wall Street has an abrupt fall, bringing a certain aroma to the decade of the 1930s, opened up by the crack of 1929. From the point of view of the class struggle, the development of new vanguard sectors while imperialism delivers reactionary blows, as the war in Kosovo, presents similar elements to the situation of the 1960s, when vanguard layers emerged in anticipation of the 1968-76 upsurge. This peculiar set up of the last years highlights that the “neo-liberal counterrevolution”, with its combination of democratic reaction and low intensity wars, has not brought onto the scene the open clash between revolution and counterrevolution and, therefore, the balance of forces between the proletariat and the bourgeoisie remains yet undefined. In Trotsky’s words, the international situation is as “the overture… the musical themes of the whole work”, heralding the melodies that will develop “with the accompaniment of tubas, double-basses, drums and other instruments of the true music of class struggle”. The consolidation of the imperialist offensive of the 1980s was anticipated and sustained by a deep “right turn” of the “intelligentsia” that brought back the liberal ideologies and the “consumer individualism”, one whose maximum exponent was the American “yuppie” role-model of the Reagan era. In 1974, Friedrik Von Hayek “surprisingly” received the Nobel Prize of Economy. This preacher of the Free Market whose influence had been reduced to a few “believers” during the years of boom, when Keynesianism reigned supreme, quickly began to win new followers. According to his disciples, he suddenly turned from “being a nitwit to a guru”. The Society of Mont Pelerin, a think-tank created with the exclusive goal of fighting against the planned economy, that started with a few dozens of members -among them the philosopher Karl Popper -, gained more and more influence among economists, politicians and intellectuals all alike. With the end of the long boom of the post-war period, the economic elites and the bourgeois governments began to reverse the Keynesian policies, based on the intervention of the state to balance the economy, on the “welfare state” -specially in the developed countries-, full employment and the increase of demand, to embrace Hayek´s neo-liberalism. Starting from 1977, his views were almost hegemonic. The new (old) economic “dogma” indicated that the Keynesian-styled state intervention was the most pernicious thing for the spontaneous operation of the economy, “balanced” with a free market, in which prices and its fluctuations are the main indicators, the sources of knowledge that guide the behavior of the separate individuals within society. According to Hayek, the years of Keynesian measures had given too much power to the unions that pushed the wages up more and more. His recipe for Great Britain, which Margaret Thatcher implemented through and through, was to take away negotiation power from the labor class, and to discredit the unions. The essence of the neo-liberalism can be summarized in the formula: “A market that works spontaneously, in which prices act as a guide for action, cannot take into account what people might need or deserve, because that would create a distribution that nobody has designed, and something that has not been designed by anybody, a mere state of things as this, cannot be fair or unfair. And the idea that the things should be designed in a fair way means, indeed, to abandon the market and to go for a planned economy in which someone decides how much to give to each other, and that implies, of course, that it can only be obtained at the expense of the complete abolition of personal freedom”3. In fact, the spontaneous work of the economy through the markets, is just a hollow ideology -in the negative sense of the worded, i.e., a concealment and falsification of reality. The neo-liberal offensive went hand in hand with a massive intervention by the State, in favor of monopolies and banks -take the so-called “military Keynesianism” of the Reagan era. The rebirth of the old liberal dogma in the sphere of economics was mirrored by the developments within the left intellectuality, that openly gave up the goal of the socialist revolution and threw Marxism away to the “dustbin of history”. In the early 1970s, the French intelligentsia that has always set the trend for the ruling ideologies, underwent a process of profound reactionary transformations. The backlash was so thoroughgoing that Perry Anderson claimed in the early 1980s that Paris had become “the capital of the European intellectual reaction”4. The deviation of the upheaval of 1968 in the developed countries eventually killed off the radicalization of the 1960s, leading to a deep reaction that settled in on the basis of harsh defeats against the organized working class movement. The clamp-down on Solidarity in Poland, the smashing of the miners’ strike in Great Britain, along with the growing atomization of the working class movement, union-busting, and the transformation of all aspects of life into commodities -including the conquests of the “welfare state”, mainly health and education – were accepted with resignation by an “intelligentsia” that had sold out to the unrestricted rule of capital. In this way, the deep counter-revolutionary distortions of Marxism at the hands of Stalinism, the disenchantment of the intellectuality in the wake of the 1968 upsurge and the imperialist offensive, all gave place to the (re) emergence of old ideologies adapted to the heyday of the free market. First it was Structuralism, postulating the structures without a subject, or else the death of the subject, and later Post-Structuralism, represented mainly by Deleuze, Derrida and Foucalt, who since the 1970s laid the theoretical basis for the emergence and consolidation of the so-called “post-modernism” in the early 1980s. Post-Structuralism, in its different strands, pointed out mainly to the fragmentary and heterogeneous nature of reality. Their main theoretical and philosophical concerns, inspired in the reading of Nietzsche’s work, and also in linguistics, are very far from those of historical materialism and of the class struggle. Foucault built a theory of the “disciplinary society”, in which the relationships of power -always bound to a certain knowledge – are no longer embodied in major dominant and dominated social subjects –such as classes and states – that fight for political power. Instead, it all boils down to a “microphysics” of power, an omnipresent “device” that is internalized within each individual and present in all social and personal relationships, one that we are unable to defeat without building up another power. The driving force of history is no longer the class struggle, but the succession of disciplinary and “knowledge-power” systems. The purpose is no longer to overthrow the power of the ruling class and to achieve the emancipation of the working class movement from capitalist exploitation, and with it the liberation of mankind. The only real and possible alternative is the partial resistance to “power” that always generates a fragmentary “counter-power”, one codified in the practice of the social movements that fight against certain aspects of social (or else, sexual, racial, gender, prison, etc.) oppression 5. Postmodernism carried the views of post-structuralism to the extreme, declaring that the “Grand Narratives” were dead, meaning with this the theories that try to account for the entire human history, such as Marxism, highlighting instead the utterly fragmentary character of reality, and therefore, the impossibility of knowing and transforming it. In its different versions, even the most “left” ones 6, this new ideology announced the beginning of a supposed “new stage of capitalism”, some kind of “postindustrial” capitalism, where the break-throughs both in technology and communication prevail over the modern factory, and the consumers and “yuppies” over the old social classes. Postmodernism was the reactionary hallmark of the 1980s and the early 1990s, and it shaped the cultural, social, artistic and philosophical sphere. It did so to the extent that left intellectuals that had so far adhered to different strands of Marxism now embraced this new fad, proclaiming the emergence of “post-Marxism”, one adapted to the heyday of globalized finance capital, writing off the class struggle altogether. In a word, the free market in the sphere of economics, and Postmodernism in that of philosophy both set the reactionary ideological tone for the boom years of neo-liberalism, in which the working class movement -as a result of major defeats- had been atomized, struck by unemployment and “downsizing”. Most intellectuals claimed the latter was dead as social subject -many as André Gorz had already “waved good-bye to the proletariat” over a decade ago – capable of heading a revolution that would finish off the system of capitalist exploitation. The economic crisis of 1997 was a hard blow for the neo-liberal illusion of fostering social progress through the free market, ushering in a process of ideological reversion, a questioning of the empire of “neo-liberalism” and the ideologies that came with it, the so-called “pensée unique”. The discredit of “globalized” capitalism brought about by the collapse of the Asian economies and the sufferings imposed to the masses of those countries, fueled a rejection in wide sectors of the youth and workers against both financial speculation, and the super-profits earned by multinational corporations. The downturn finally did not hit the United States and Europe. As we explain in the another article economy in this magazine, the United States succeeded in taking advantage, both of the economic crisis and the intervention in Kosovo, achieving an unprecedented growth. The free market-inspired bourgeois triumphalism, battered by the shock waves of the 1997 downturn, went on to extol the virtues of a new economic paradigm, i.e., the emergence of a “new economy” relying on the break-throughs in computers, and the widespread use of the internet. On the other hand, the critics of both globalization and “finance capital” have brought back to life a sort of neo-Keynesianism, demanding the “regulation” of the works of the markets, and the implementation of protectionist measures, among others, that seek to put limits to capital, in order to reform it, but without questioning the existence of capitalist exploitation. The most utopian among these “new” ideologies of salvation of “good capitalism” against speculative capital is the campaign for the implementation of the Tobin tax, worth between 0,1 and 0,25%, on financial transactions, “with the goal of penalizing the speculative activity, earmarking the funds for developmental projects and citizens’ aid” 7. This recycling of old reactionary ideologies and petit-bourgeois utopias still influence the “left-wing” intellectuality, as in the previous decades 8. These pseudo-utopias now in vogue are so miserable that, as an article appeared in Monthly Review says, unlike old utopias “these do not challenge the values of present day society”, and they seek to “change as long as the State and capitalism can comfortably put with it”. Therefore, they lag behind not only of Marxism, but also behind Sir Thomas More who long claimed that a “fair distribution of the goods, or a satisfactory organization of human life shall never be achieved, until private property is abolished” 9. Some intellectuals, as James Petras, spoke of the emergence of “new social subjects”, mainly the peasantry, before the emergency of these sectors in Latin America, as it happened with the Zapatista uprising in Chiapas, and the land seizures by the Brazilian MST 10. These theories provided the ideological foundation for the populist currents in the continent, that gained new forces as a result of the eminently rural nature of the upheavals sweeping through Latin America. The self-proclaimed Trotskyist, actually centrist, groups who had been unable to uphold revolutionary Marxism during the years of Yalta, also deepened their “right turn”. The adaptation of these currents to the democratic-bourgeois regimes, and to ideologies alien to the working class movement, expressed itlself in the theory of “democratic revolution” as a previous stage of socialist revolution. This led them, for example, to participate in bourgeois “opposition” fronts, as the Mexican group UNIOS in the ranks of the PRD. Or else, they collapsed into democratic and populists movements as the Mexican PRT did into Zapatism. These ideologies and programs poison the minds, and sow confusion among the thousands of vanguard activists and youths that are coming out to fight against “global capitalism” and the big corporations, but who lack the strategy of social revolution. A new wave of mass struggles has swept through the “weakest links” of Latin America since the rural, indigenous and popular uprising in Ecuador in late January. As we explain in the dossier on Latin America, the developments of the class struggle in Bolivia are the most advanced in this wave, while in the most solid countries, in which the bourgeoisie has achieved a relative stabilization, there have been vanguard struggles, such as that of the UNAM students in Mexico, and the struggle in defense of education in some states of Brazil. In those advanced countries now going through a boom, the labor class and the masses are carrying out major pressure struggles. In the United States, the professionals and qualified technicians at Boeing, the “white collar workers” who are amongst the best paid in the country, walked out for five weeks demanding a wage raise. In France there were massive protests against education cuts (read article). Another example is the mobilization of dozens of thousands of workers in Birmingham against job cuts at Rover, the car-manufacturing plant. In this case, however, it was more a resistance struggle, controlled by the union bureaucracy with a chauvinist program. The most significant process in the imperialist countries is the emergence of a new labor and youth vanguard that attacks the symbols of “global” capitalist power, such as the headquarters of the big corporations, stock market buildings, the summits of the WTO or the plenary meetings of the IMF and the World Bank. The demonstration of thousands of workers and youths against the WTO meeting in Seattle was enthusiastically hailed by thousands of workers and youths in the entire world. And they had a reason to be happy. Such a massive protest in the heart of the American empire had been unseen for decades, many commentators even compared it with the protests against the Vietnam War. The failure of the Millennium Round was seen as a victory of the mobilization, a slap in the face of the multinational corporations that sponsored it (as Microsoft and Boeing). The demonstration was even supported by the Mexican students who demonstrated in front of the U.S. Embassy against the violent clamp-down on the protesters in Seattle. The so-called “Battle of Seattle” had its continuity in the mobilization of April 16 in Washington D.C. against the IMF and the World Bank. Thousands of youths participated demanding the “shutdown of the IMF”, denouncing its austerity plans, and they also declared their solidarity with the struggle of the Bolivian masses. In this process, the AFL-CIO played an openly reactionary and chauvinist role when they called the workers to demonstrate against China, breaking the united front of the demonstration against the WTO. These movements show, in the eyes of the world, the anger and the discontent of wide sectors of workers, youths and students with the most brutal aspects of capitalist exploitation. This had already been expressed in actions as the “Carnival Against Capitalism” in London in June last year, or in the campaigns of the student vanguard at the U.S. universities, organized in groups like USAS (United Students Against Sweatshops, university students’ organization that fights for a minimum wage for the university service workers), against slave labor and for the minimum wage. Those sectors came to the fore when they mounted the boycott to the WTO meeting in Seattle, thus becoming a beacon for the vanguard in other countries. The imperialist press, from Business Week to Financial Times, were reckless against the movement of Seattle, saying that these were “people that are against progress and prosperity”. But these free market hacks had to recognize that, although for most wage earners in the United States the economic boom is undeniable, so is the utterly unequal distribution of wealth. In a survey published by Business Week after the events in Seattle, 75% of those interviewed senses that an enormous mass of wealth has been created, but one that it is distributed among a few. Around 63% of the people do not see the boom has improved their wages, and they believe that it has brought in more insecurity in their jobs, while they all see that the corporations have all acquired an enormous weight in the political and economical life of the country. Finally, around 52% of those surveyed sympathized with the demonstration of Seattle. The reason for this mood is to be found in the fact that the wages remain far below the massive earnings of the bosses, while the labor week has been lengthened to unheard-of levels. These developments are not the byproduct of a short term situation, but rather they reflect the processes at work in the world reality in the past years, some of which have been dealt with above. The radicalized vanguard that arose in the 1968-76 upsurge joined the parties of extreme left -as Maoism in Europe, the guerilla groups in Latin America -, echoing the victory of the Cuban revolution, and swelling the ranks of parties that claimed to be Trotskyites, which organized above a thousand militants in several countries. It is clear that, compared with the developments back then, the processes that have being developing since last year have but an inchoate and preparatory nature. 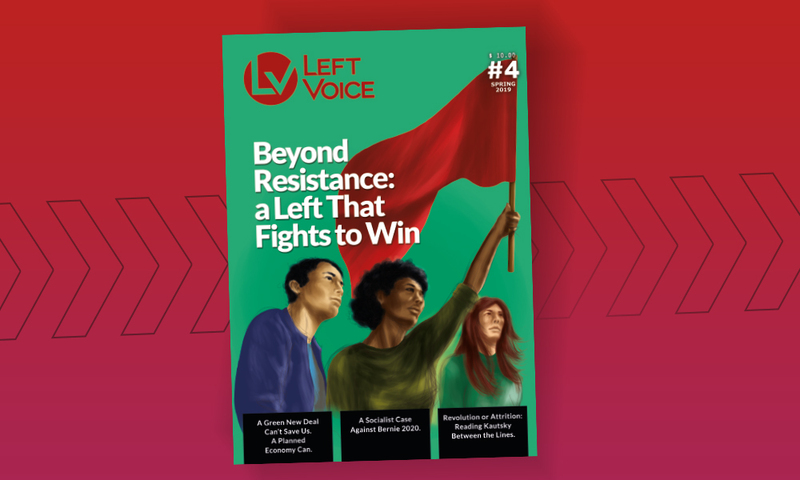 However, in the light of the last events in Latin America, we can already state that this new vanguard, whose actions have tended to go beyond the limits of bourgeois democratic regimes, has influenced in the development of the class struggle, and it will continue to do so in the coming period. In spite of their limited political radicalization, their paramount ideological confusion and of the influence of “left reformist” programs and currents, populists and pseudo-anarchists, for us revolutionaries these developments are highly progressive. As we explain above, decades of ideological reaction and of crisis of revolutionary Marxism has resulted in the (re)emergence of new-old ideologies and political programs that, in all their variants, seek to set the “power of the citizens”, or else consumers’ power, into motion to put limits to capitalism, writing off the idea of proletarian revolution from the political horizon. The Jubilee 2000, the Tobin Tax initiative, the international ATTAC, Le Monde Diplomatique editorials (and of several newspapers of centrist groups that claim to be Trotskyists), NGOs, intellectuals converted to neo-Keynesianism, all of them live side by side with the pro-imperialist protectionism of the AFL-CIO, and other programs raised by the union bureaucracies worldwide, which all are raising policies proposed by bourgeois sectors ruined by the “opening” of the economies and the works of the free market. The action of these reformist variants is an obstacle for the independent action of workers, and also for the thousands of youths that today are confronting partial aspects of capitalism, with the illusion of being able to put limits to it. They prevent the former from going on to question the foundations of capitalism itself, and private property altogether, blocking the way to build and alliance with the working class movement, the only class capable of leading the struggle FOR socialist revolution. The centrist currents that speak falsely in the name of Trotskyism, due to their sectarian or opportunists policies according to each case, also run against the revolutionary development of this vanguard. The pitiful record of these groups in the main developments of the class struggle has shown that they are completely tamed by bourgeois democracy, what puts them in collision course with the new vanguard sectors. The French Communist Revolutionary League (LCR), that has said for years that the frontiers between reform and revolution have blurred, has joined the “anti-neo-liberal” initiatives like ATTAC, and they write in their newspaper that the “fight for the Tobin Tax has gained a growing international dimension, ever since the financial crisis of 1997-98 has undermined the neo-liberal ideological rule, and it should be up to new challenges”, and also how the “social and democratic movements” can take advantage from the implementation of the Tobin Tax 11. All this mumbo-jumbo was written while the international campaign to free the Mexican students imprisoned after the clamp-down on the strike at the UNAM was gaining momentum, a fight for which they did not even lift a finger! With a sectarian view that leads to abstention, Lutte Ouvrière dismisses this vanguard out of hand, only seeing its limits. In an article, appeared in their monthly magazine, they claim that: “It is in vogue today to see Seattle as the awakening of a new militancy and to ignore who was there, what they stood for and the confusion that those proposals can create in the minds of the working class if they ended up taking up the demands of Seattle. Seattle didn’t represent a step ahead, not even a detour towards the right direction. To look for some progressive dynamics there, is to ignore the social composition of the movement in the first place. It is not by chance that protectionist views, including the most reactionary ones, not only had their representatives in the movement but rather they set the political tune of the demonstrations in Seattle as well ” 12. Little wonder that this party that, for example, refused systematically to participate in the demonstrations against the National Front or in defense of the Sans Papiers in France, saying that fighting back racism means not to fight back capitalism, should have this attitude towards developments like Seattle. We should ask them how can they expect pure revolutionary developments to come to life, after years of setbacks for the mass movement that fueled an unprecedented subjectivity crisis in the working class movement, as a result of defeats, deception and betrayals, the disastrous action of counter-revolutionary apparatuses, and their right turn during the “neo-liberal” offensive. In Latin America, currents as the Mexican POS -sister party of the Brazilian PSTU and second group in importance of the LIT, regarded the students of the UNAM rallied in the General Council of Strike as “ultra-leftists”, echoing the campaign of PRI-PAN-PRD régime, and also openly sided with the moderate currents, i.e., the bourgeois “opposition”. They ended up behaving like scabs, and were repudiated by the students on strike. In Argentina, those centrist groups speaking in the name of Trotskyism have adapted as much as those to the bourgeois democratic régime. While the MST has been part and parcel of an alliance with the Communist Party, the Argentinean Partido Obrero moves to the rhythm of the election schedules set by the regime, doing their best to gain an electoral base for their proposals. In the last months, this party has gone to great lengths so that their main leader, Jorge Altamira, could get a seat in the legislature of the City of Buenos Aires. For the sake of this electoral opportunism, the PO was totally absent from the most important struggles of the mass and vanguard movements. There was no point in that any Argentinean activist should have tried to find the PO in the internationalist struggle in solidarity with the Mexican students of the UNAM, the same as for the young French students to find the LCR or Lutte Ouvriére in their protests in front of the Mexican embassy demanding the release of the students imprisoned. The groups of the Fracción Trotskista – Estrategia Internacional are actively taking part in these processes, trying to go for radicalized actions and bodies of direct democracy, fighting against the illusions of the rank and file, and its reformist, populists and bureaucratic leaderships all alike. Against the sectarian and pro-abstention mood of those parties, we pay heed to the advice of Trotsky to the Spanish revolutionaries, when he told them that “We do not side with the reformist illusions of the masses at all, not even for a minute, but whatever is progressive in these illusions should be exploited to the very end; otherwise we are not revolutionaries but worthless arrogant little men” 13. From the ranks of the most advanced sectors, we seek for these not to be isolated of the mass movement and we fight for this vanguard to bound its destiny to the working class, demanding that an independent workers’ program should be raised, fighting for policies and ideologies based both on Marxism and the strategy of proletarian revolution. The intervention of the LTS and Contra Corriente in Mexico to the inside of the CGH, the intense internationalist activity by the groups of the FT in Argentina, Chile, Brazil, London and France in solidarity with the struggle of the UNAM and for the freedom of the students imprisoned, the permanent endeavor to come together with advanced sectors of the working class movement -expressed for example in the launching of the new LVO, the newspaper of the Argentinean PTS with a massive distribution in the main factories and workplaces of the country, in which workers participate denouncing capitalist exploitation and sharing views about their struggles -, the intervention of our brothers in Bolivia and the declaration of the FT regarding the uprising in Cochamba, all these are enormous efforts by our small international faction, aimed at influencing the new sectors of youths, students and workers with the program and the strategy of Trotskyism. In this preparatory stage, in which decisive elements of political radicalization yet to be seen, we should take decisive steps forward to rebuild the only revolutionary Marxism nowadays, i.e. Trotskyism, fighting back the reformist, populist and neo-Stalinists leaderships of the mass movement. We should defeat the centrist currents that capitulate to them in the name of Trotskyism, with the strategy of building a revolutionary international. In our view, this task boils down to rebuilding the Fourth International. However, we don’t believe that this will be rebuilt in an evolutionary way, starting from the achievements of our small international league, or those by any other current that claims to be Trotskyist. Otherwise, this should come to life out of the merger of the most advanced layers in the workers and youth vanguard with revolutionary Marxism. The current development of mass phenomena remains inchoate, the masses have not broken away yet with the reformist apparatuses. We have not witnessed leftward moving splits from the centrist currents. However, in the next period, under the hammer blows of reality and major developments in the class struggle, radicalized sectors will arise within the working class and the mass movement alike. We shall also witness tendencies orienting towards revolution inside the left-wing parties and the groups that claim to be Trotskysts. The current intervention of the groups of the FT responds to the preparatory tasks, and the need for a reckless combat for the strategy of revolutionary Marxism, so that we are able to come together, when mass radicalization comes, with these new revolutionary sectors. The starting point is commonly drawing the programmatic and strategic lessons arising from the main events of the international class struggle, organized in a Liaison Committee that fights for the rebuilding of the Fourth International. 2- For a more detailed analysis by our current about proletarian subjectivity read, for example, Presentation of EI Nº8 and “The Balkans War and the International Situation”, EI Nº 13. 3- The Road from Serfdom – Foreseeing the Fall. Interview to F. Hayek, made by Thomas Hazlett in May 1977 published in Reason Magazine. 4- Anderson, Perry: “Tracing the steps of Historical Materialism”, Siglo XXI, 1983. 5- A thoroughgoing definition of the complex concept of “Power” and its implications, can be found in “Michel Foucault: A dialogue about power and other conversations”, Editorial Alianza, 1981. 6- See for example Fredric Jameson’s views in “The cultural turn – Selected writings on postmodernism 1983-1998”, Ed. Manantial 1999. 7- Le Monde Diplomatique, Le Dipló, December 1999. On the implementation of the Tobin Tax and the setting up of ATTAC (Action for a Tobin Tax to Aid the Citizens). See Le Monde Diplomatique, December 1997. In the article “Super light Keynesian views of the 1990s” appeared in EI Nº7 there is a critique of this view. 9- “Rethinking Socialist Imagination: Utopian vision and working class capacities”, S. Gindin and L. Panitch, Monthly Review, vol.51, Nº10. 10- For a more detailed view of James Petras’ political thought on this topic, see for example “Latin America: The return of the Left”, New Left Review Nº 223 May-June 1997, published in Spanish in Cuadernos del Sur Nº 25, or the recent work “Political consequences of neo-liberalism” published by Rebellion, April of 2000. 11- See “The Tobin Tax, a new stage”, published in Rouge 17-3-2000. 12- Extracted from the article “World Trade Organization -Railing against the WTO doesn’t stop imperialism’s ills” published in the magazine Class Struggle, issued by the group member of International Communist Union, The Spark. This article also appeared in the French magazine Lutte de Classe. (Editor’s translation). 13- Trotsky, Leon: “The Spanish revolution and its dangers”. May 1931.